The annual Beach Sweep/River Sweep took place on Sunday, September 30, 2018. 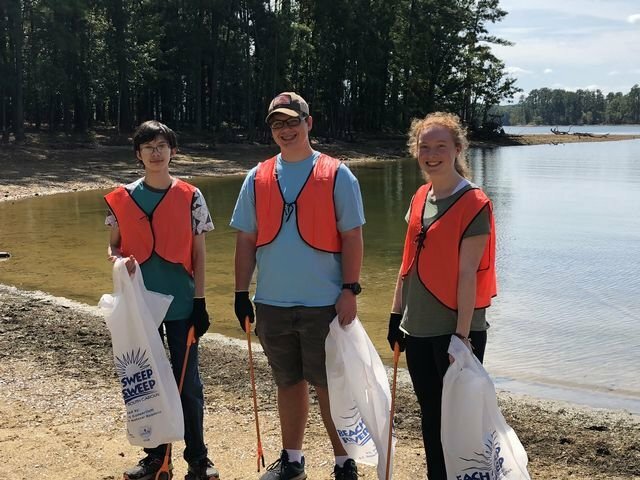 Each year thousands of people participate in the Sweep, South Carolina’s largest one-day litter cleanup of beaches and waterways. The S.C. Sea Grant Consortium and S.C. Department of Natural Resources organize the statewide event, which is held in conjunction with The Ocean Conservancy’s International Coastal Cleanup. Anyone can participate – individuals, families, schools, youth groups, civic and conservation clubs or businesses. All necessary supplies are provided. In its 30-year history, over 1200 tons of litter have been collected and/or recycled. Mrs. Michelle Ashley, MCHS Science Teacher, was a Site Captain this year at Dreher Island State Park.